When T. Morgan Dixon, M.A. ’07 gave a talk on her organization, GirlTrek, at the TED Conference in Vancouver B.C., last year, she shocked her audience with a number: Every day in America, 137 black women die from a heart disease — roughly the amount of people that were on Dixon’s plane from New Jersey. “A plane filled with African-American women is crashing to the ground every day, and no one is talking about it,” she told the audience. But GirlTrek is trying to change that. 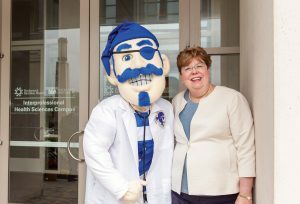 The organization began in Newark, in Seton Hall’s backyard. After graduating from the University of Southern California, Dixon came east for a master’s program at New York University. But finding the curriculum too broad for her work in education, she found Seton Hall’s Education Leadership, Management and Policy program, which prepares students for principal certification, was the perfect fit, while still providing access to an urban community to teach in as she completed her degree. When Dixon’s career brought her back to Newark a few years after graduating from Seton Hall, she was startled by a statistic: Half of black girls born in 2000 would eventually be diagnosed with diabetes unless their diet and levels of activity changed. “That to me felt like a call to action,” Dixon says. At first, she didn’t know what to do. She brought granola and fruit to school, hoping to set an example of healthy eating. She began leading Saturday hikes, but realized the girls needed to exercise every day. So Dixon and her students began walking the neighborhood at lunch. While it was a good start, Dixon and GirlTrek cofounder Vanessa Garrison realized getting a classroom of girls to exercise wasn’t going to change the health crisis most African-American women were facing. They needed to think bigger. What if they could get a million of these girls’ mothers to walk with them? GirlTrek is now a national health movement that encourages women to use walking as a first step to healthy living. Participants organize walking teams in their neighborhoods, and while the program is open to everyone, it targets African-American women, who are least likely to spend time on physical activity. GirlTrek is on a mission to help African-American women learn to take care of themselves. By walking just 30 minutes a day, participants can help prevent stroke, diabetes and heart disease. But improved heath isn’t the only benefit. As women walk together, they discover the needs of their community. Thanks to GirlTrekers, a community garden was built in a Houston neighborhood, more walking trails were created in St. Louis, and traffic signals were put up on a busy street in Denver. “Those are the things that happen when you’re an active citizen, and when women are gathered with a common interest and a common ambition,” says Dixon. 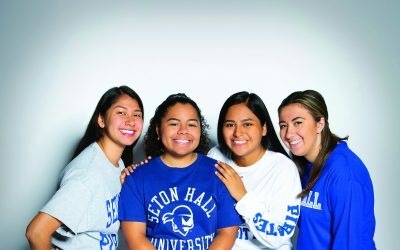 What began as a small group of students walking in a neighborhood down the road from Seton Hall is now an established public health nonprofit for African-American women and girls with a national reach. More than 150,000 people walk every day because of GirlTrek, and Dixon and her team hope to get to one million by 2020. Dixon credits Seton Hall for giving her the tools to lead. 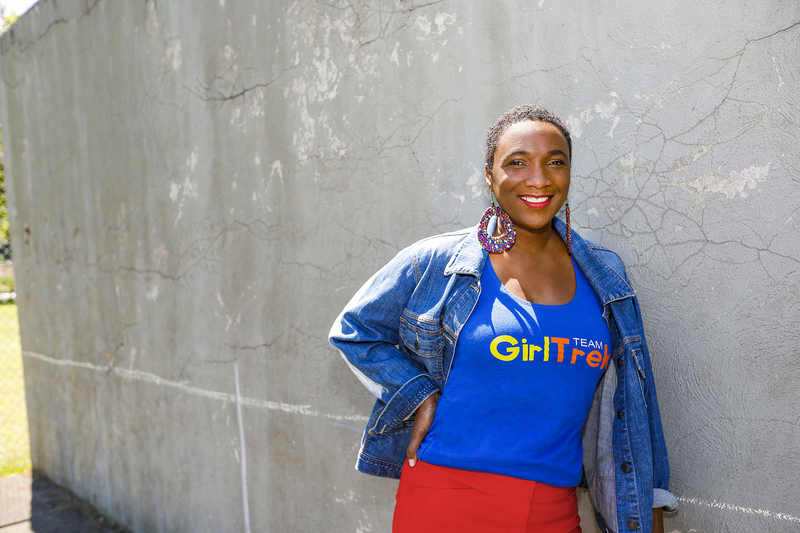 Dixon is spreading the word about GirlTrek with a year-long national tour, which aims to train 10,000 women to be the organization’s public health activists in the country’s 50 highest-need communities. The tour will culminate in Selma, Alabama, on Memorial Day weekend in 2019, where participants will retrace the steps of the 1964 civil-rights protest marches, a 54-mile walk to Montgomery. “We know that walking is the single most powerful thing a woman can do for her health,” Dixon says. Kelley Freund is a freelance writer in Newport News, Virginia.